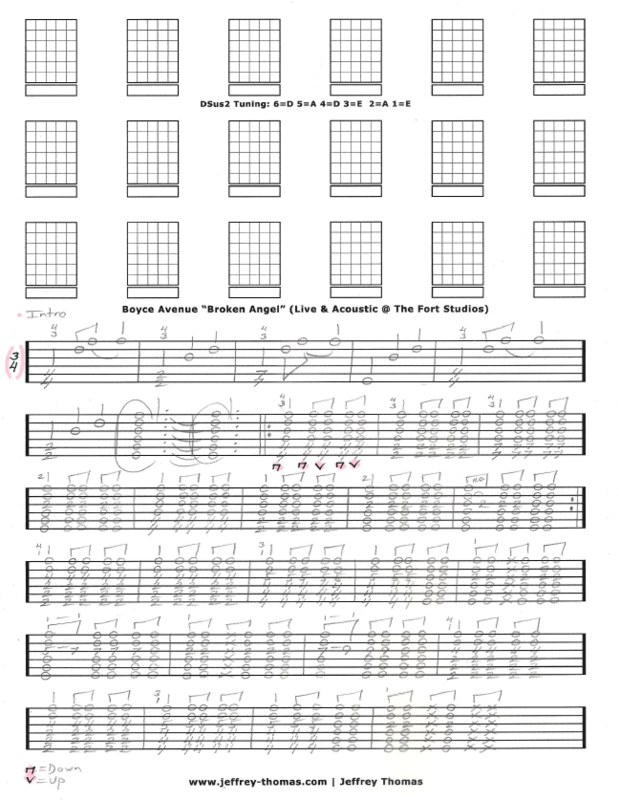 Boyce Avenue Broken Angel Free Guitar Tab by Jeffrey Thomas. Learn the full song with my accurate guitar tab showing the complete song structure, tuning and signature licks. This is cool ballad by Youtube Star Boyce Avenue. Want the full guitar tab for free? Send in your email address using the form provided. Need help playing this song? Fill out the Schedule A Free Lesson form to set up a free Skype guitar lesson with Jeff today. Learn this solo acoustic ballad by Boyce Avenue and check out more unique online guitar lessons on my tab, video and blog pages.